I spend a lot of time listening to music while I’m working and I was always under the assumption that the Sony MDR-X200 I owned was good enough. Then my friend introduced me to the Sennheiser PXC-450. They blew me away! Everything was so clear, you can make out so many instruments and there’s an overall better perception of from which direction and distance the sound is coming from. An A.R Rahman song stands out with classy headphones. To top it off, it was so incredibly comfortable – the circumaural cups fit around your earlobes and you can listen for hours. The only problem: the PXC-450 is incredibly expensive. In India, it costs about twenty five thousand rupees and that my friend, is a lot of money to dish out on headphones. Thus I set out on my quest to find a cheaper alternative, one that would be readily available and would not cost me a fortune. I headed to the Imagine store in the Forum, Koramangala. They have a decent collection of good quality headphones and I tried out the Sennheiser HD 438 from there. I came back home and committed the first mistake: I ordered the Sennheiser HD 448 online. HD 448 should be better than HD 438, right? Well, the quick answer is no. HD 448 is more realistic and has better resolution than the HD 438; but the bass. Oh, the bass. The thump, my friends, is lacking. By “lacking”, I’m not saying it is bad. It is just not that great. I quickly managed to find a buyer for that and offloaded it. HD 438 scores on that count. The next mistake: I then bought an open-back audiophile headphone – the Sennheiser HD 518. It costs around six thousand, but the clarity, bass and detail is stunning. If you haven’t listened to an open-back headphone before, I suggest you drop whatever you are doing and try it immediately. It is like listening to high-quality speakers at an incredibly high volume without any distortion or difference in quality. The only problem – open-back headphones leak a lot of sound. At around 50% volume, it is fine. Go any higher and people around you can hear what you are listening to. Not good when you’re in office. Bose QC-15 – Noise cancellation is awesome. Overall bass and treble sound a bit tinny compared to PXC-450 or the Denon AH-D1100. Beats by Dr. Dre – Too much bass; sound quality takes a hit when there’s only vocals and this is insanely expensive – around Rs. 27000/-. 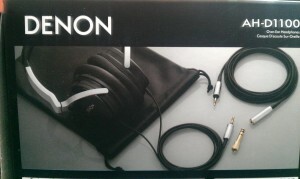 Thanks for nice article, I am now happy to buy the headphone that you have mentioned Denon AH – 1100. As i see this article was written in 2011, Do you have better alternative headphone that you are using right now other than Denon AH – 1100. If yes please reply to my comment or email id. Thank you very much in advance :)..
I’ve upgraded to Sennheiser PXC 450 last week. Till then I’ve been using Denon and love the AH 1100. I bought Denon AH-D1100 headphones in Bangalore in January 2012 and still love them. I’d like to upgrade to the Denon AH-D600, but have not been able to find them in Bangalore. Please let me know if you see them being sold anywhere. I prefer Denon because of their low impedance: they perform well with an ipod. I think you should try pristinenote.com .. they have lots of products from the like of Audio Technica,Sennheiser,Brainwavz etc. The AHD-1100 was pretty too warm and slow for me. 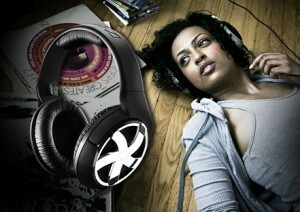 I think you should try Sony MDR-ZX 700 for the same price and the Brainwavz HM-5 for 8k INR. Though I have not heard the HM-5, I think the ZX-700 is way better than the D-1100. My Budget is 5000rs, can you please suggest me any good headphone in this range.